Take a magical journey with Australian fashion designers Anna Plunkett and Luke Sales of Sydney-based fashion house, Romance Was Born. Express Yourself: Romance Was Born for Kids is a free interactive art exhibition for children, at the National Gallery of Victoria. From the moment you step through the door, there’s a feast of vibrant colour, intense creativity and an overload of inspiration. 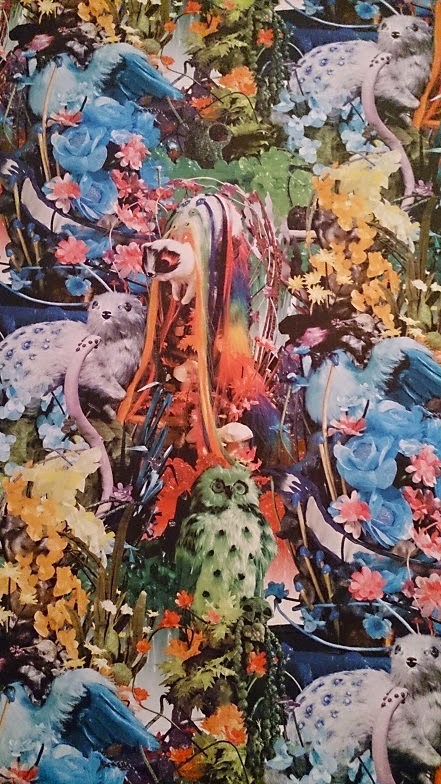 Children will be dazzled by the colours of the rainbow, the Australian bush and imaginary of long ago. Each area is cleverly designed to stimulate the senses and encourage creativity, with unique displays inspired by childhood memories and well known Australian children’s literature. Children are invited to participate with their own art creations; decorating a Romance Was Born necklace or paper beard. 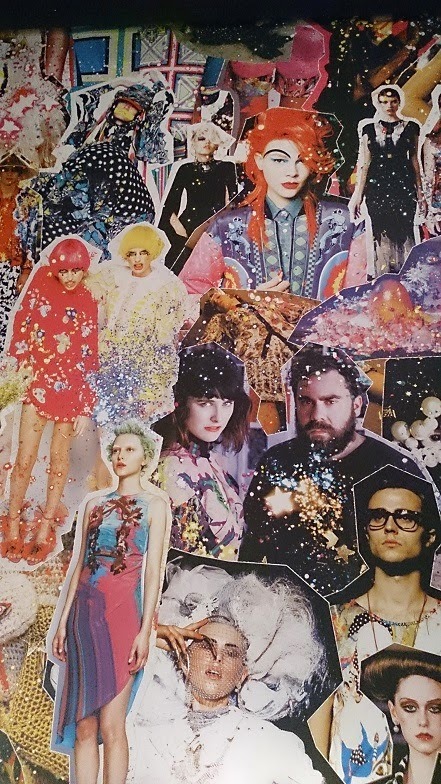 Using a colourful array of sequins, lace trims, pom poms, beads and jewels, children can’t help but be inspired by the stimulating wall to wall colourful catwalk designs, satin curtains and mirror ball, in an area resembling the excitement of a backstage dressing room. Interactive play is encouraged in themultimedia Billabong room, surrounded by lights and moving digital lily-pads to skip across the floor.The walls are dressed in artwork and fashion inspired May Gibbs’ Snugglepot and Cuddlepie, Dot and the Kangaroo, The Bunyip of Berkely’s Creek and Possum Magic. Children can create their own masterpiece with still life drawings on iPads in Rainbowland; a kaleidoscope of colourful items displayed from floor to ceiling. This stunningly arranged rainbow presentation features favourite toys, fashion, works of art and curious objects from each designer’s childhood; such as vintage Strawberry Shortcake dolls, Milo tins, Care Bears, Vegemite jars, Cabbage Patch dolls, My Little Ponies and more. The Tomb Room is something to be seen, telling the spooky tale of an old pharaoh queen from ancient Egypt. The costumes and accessories are influenced by ‘The NeverEnding Story’, ‘Indiana Jones and the Raiders of the Lost Ark’ and Puss in Boots to name a few. This exhibition is like no other. 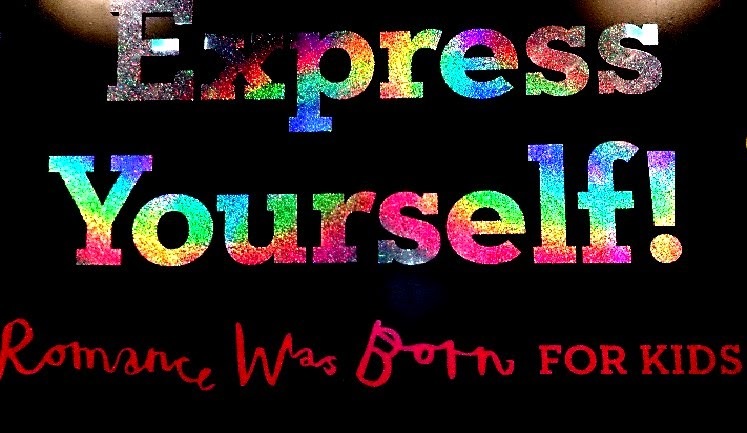 Express Yourself: Romance Was Born for Kids is sure to fascinate, amuse, inspire and delight the imagination of both young and old. 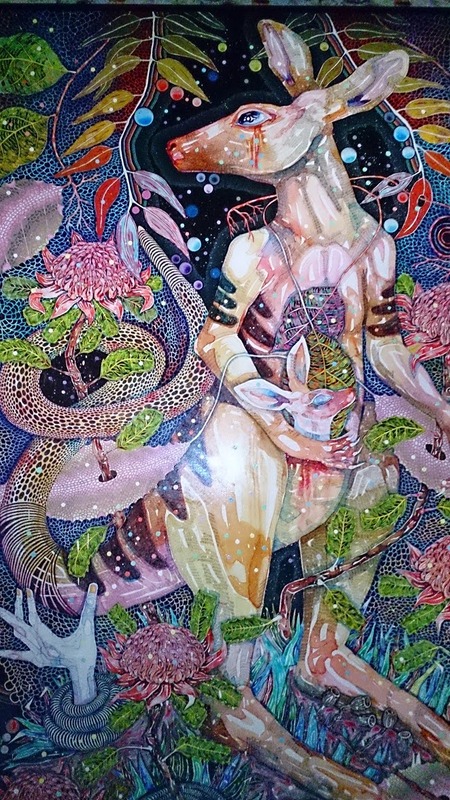 Now onat the NGV till March 22, 2015. The NGV has produced a children's book linked to the exhibition. 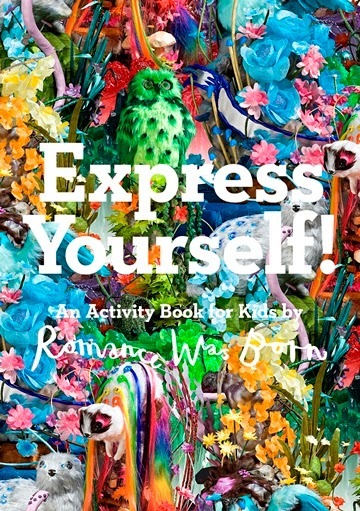 See our review of Express Yourself: An activity book for children by Romance Was Born here.